I beg to differ here because we store our underwear in the bathroom unit drawers. Having said that, we didn't do this in the days before en-suites! 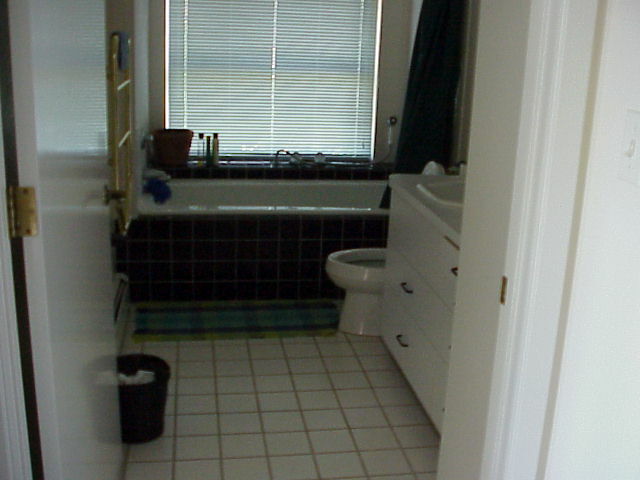 JonBenet had her own en-suite. iirc, weren't JonBenet's underwear taken in as evidence? It doesn't say where they them from...hamper/floor/clean in drawer..
maybe whoever redressed her wanted clean ones and there were none to be had????? Maybe they didn't realise the significance? Ouch. Well, okay, then. I stand corrected. 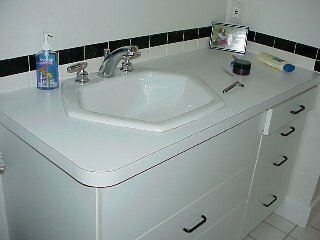 I wouldn't store underwear (or anything personal for that matter) in any bathroom which guests were going to use. Not after discovering I had friends who admitted to rifling in bathroom cupbards when they paid a visit! It wouldn't even enter my head to do that and I was horrified. Years later I was suspicious that a family friend was rifling through our house when we were out and so I set a little trap to see. I did the thing with the hair on my bedroom door AND on my underwear drawer and sure enough, when I came home and checked, both were disturbed. I challenged him outright and he admitted it but wait for the excuse - he said he was looking for a kitchen knife! The world is full of weirdos. Where were the size 6 Wednesday undies? If she was wearing them when she was assaulted, and they weren't found in the house, where did they go? Also, if there were a set of 7 size 6 days-of-the-week undies in the house, and JonBenet wore Wednesday which was then "disappeared", where are the other 6 days of the week? Did the cops confiscate hampers and their contents? The stager had to get rid of 13 pairs of underpants, in addition to the end of the rolls of duct tape and cord? Why would they do that? "Did you get my golf bag?" said John. or in the parent's room??? So were these clean or not and where did they get them from?????? One thing to remember - ten years ago, Pull-Ups were fuller and thicker than todays more advanced smaller version just in case further experimentation is going on. I remember being amazed at how slim disposable nappies were 6 years ago compared to 21 years ago! I guess pull-ups would be the same. However, I still don't see why knickers would have to be worn over pull-ups in bed. I only ever put knickers over my girls' nappies for "show" when they were babies wearing little angel tops or frocks. I don't know anyone here who stores underwear in bathrooms either WY, whether there's a personal bathroom off the bedroom, or not. I have one and wouldn't store it there. I walk back into my bedroom and have underwear in drawers. Don't tell anyone though! FWIW, I wouldn't have cleaning supplies in a child's bathroom. We have a large central towel closet (called an "airing cupboard") on the upstairs hall landing - convenient for all bedrooms and bathrooms. We keep only enough clean towels in the bathroom as we can use at any time. A child's knicker drawer wouldn't need to be terribly big. Tootsie has a chest with 1 large drawer, a short hanging space and 4 small drawers. One of the small drawers is big enough for all her knickers plus her vests. All times are GMT -5. The time now is Thu Apr 18 7:45:47 UTC 2019.